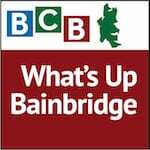 John Fossett and Tressa Johnson, who are two of our adult service librarians, discuss with BCB’s Joanna Pyle what’s up at the Bainbridge Public Library during November. On three Saturday mornings — November 1, 8, and 22 — “Library U” offers a three-part lecture series on the Vietnam War presented by Laurence Kerr. He will sample topics from the French return to Indochina to the My Lai Massacre and the crisis of conscience. Larry Kerr served as an Army officer from 1964 to 1974. Later he joined the U.S. State Department, where his postings included Mexico, Chile, Guatemala, and the Republic of Georgia. His teaching experience includes three years in Washington DC as Associate Professor of History at the National Defense University, where he taught about the history of empires and strategic thought. He also served as Distinguished Lecturer at the Inter-American Defense College with a course on the history of terrorism. Since moving to Bainbridge Island in 2006, Larry served on the board of Bainbridge Chorale and Bainbridge Youth Services, and he has been a frequent moderator for the Great Decisions series at the Bainbridge Library. On November 15, the Washington Benefits Health Exchange open enrollment period begins. The Bainbridge Library is working with Peninsula Community Health Services to provide free, confidential assistance with annual re-enrollment from trained, certified specialists. At the Bainbridge Library, assistance is available every Wednesday starting November 26th. Check the Library website for times and an occasional Saturday session. The Library has books on entertaining, decorating, food, crafts and more. And, if you’ll be on the road, consider audio books or DVDs to take with you. They are free with your library card. Credits: BCB host: Joanna Pyle; BCB audio editor: Tim Bird; BCB social media publisher: Barry Peters.